Here's how it works: Each Month bring your completed block from the previous month to receive the current block free. 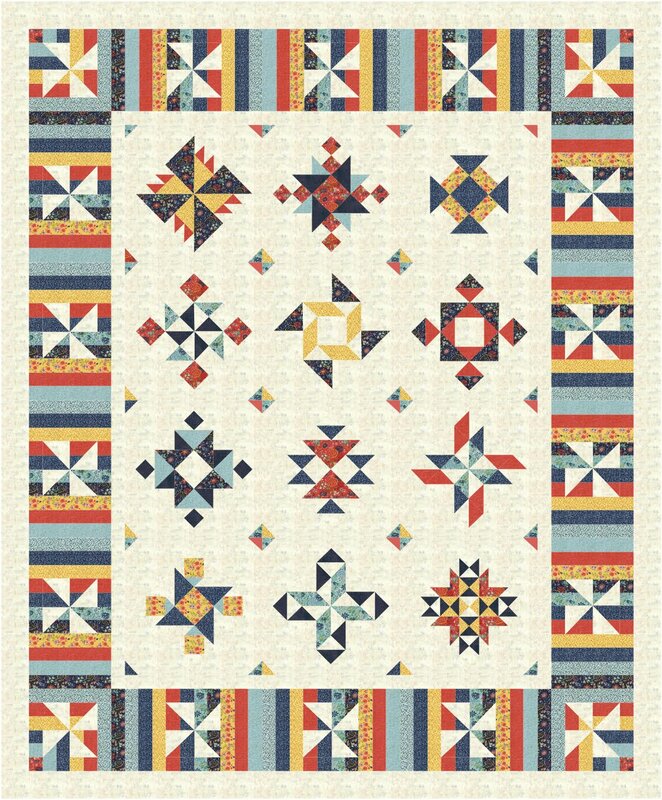 Each month we will have a short presentation on what is new at Beth's Quilting Quarters (BQQ). During the presentation we will announce a special discounted item available to participants for that day only. Condition: You must come to the presentation AND have completed your previous block to receive the current block free. Otherwise, there is an $ 10.00 charge for the current block. A credit card must be held on file. Blocks not picked up by the end of the month will be shipped with the shipping fees applied. Finishing kit and pattern must be purchased for $ 135, this will automatically enroll you for the year. Drawing: If you bring an item for the basket you will receive one ticket. If you buy an item for the basket from BQQ you will receive two tickets. You may bring a "show n' tell" project to receive one ticket. We will have a drawing for the winner of the basket at the December meeting. A second drawing will be for a free quilting on the finished Saturday Sampler quilt for one lucky person!! !